Here is the second time around with appliqué on the long arm. First I quilted the entire background with feathers and then a bit of curved cross hatching in the darker on point squares. Leaving everything mounted on the frame I added my appliqué. 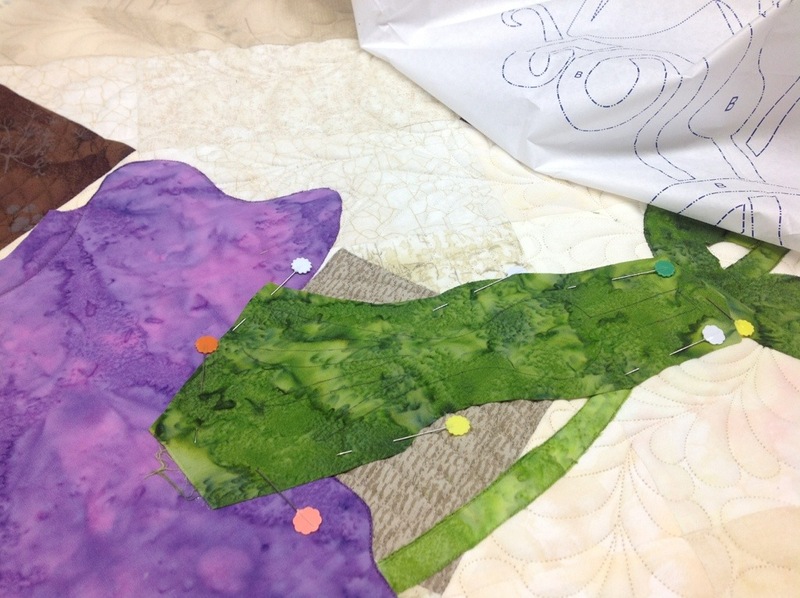 I prepared my appliqué fabric with misty fuse then traced the motifs onto the fabric and cut out at least an inch or so larger than the appliqué and lay this on the quilt in its position. Here you see the freezer paper shape still on the appliqué. 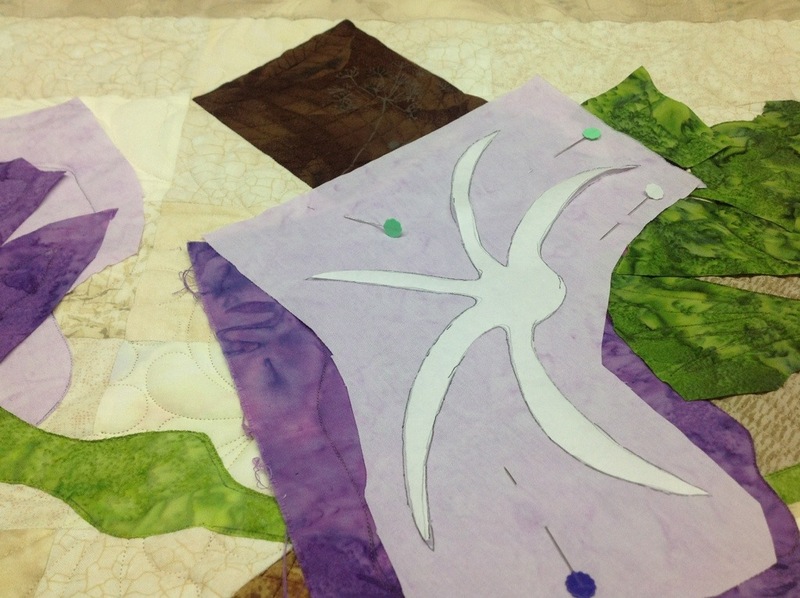 The next photo shows a stem pinned onto the quilt. You should be able to see my tracing marks. 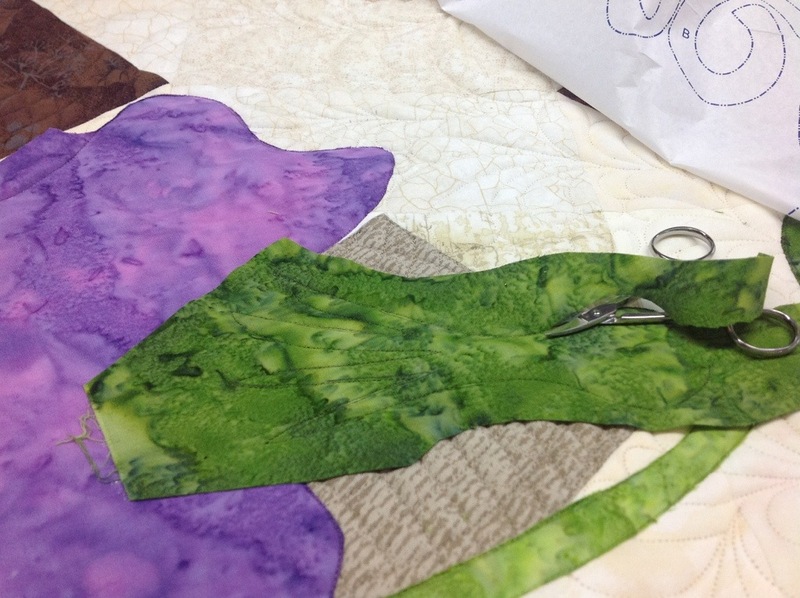 I then stitch on the lines and cut away the excess fabric when finished. I did increase my stitches per inch to 14 and you could go to 16. I found this to be a less stress way of doing appliqué and simply having a fun play day. I do enjoy how the background quilting goes right behind the appliqué. 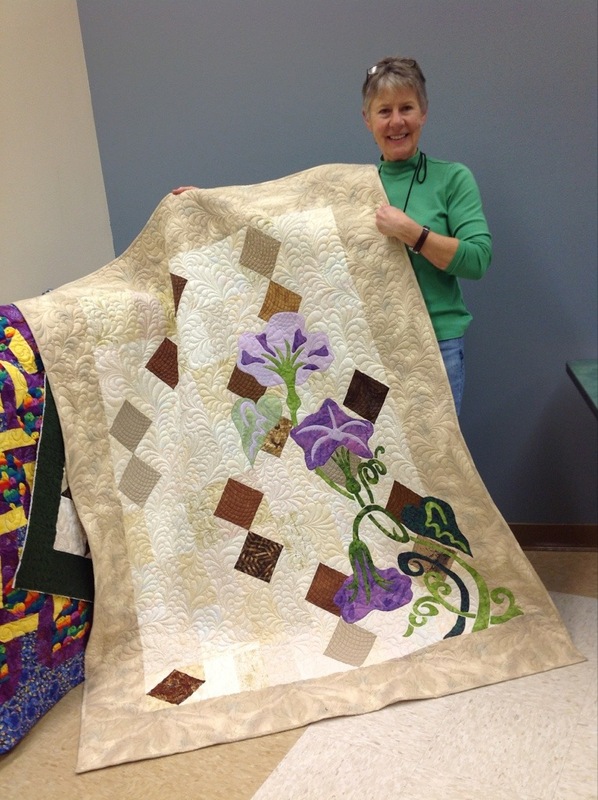 Here I am with my quilt…..all bound, labeled and finished!